Wow! For being Finals Week, CHRISTmas time at Bruté is a very enjoyable time. We have had pancakes made in the morning by Father Tom Widner SJ, and now we just got finished watching Holiday Inn with Bing Crosby and Fred Astaire. It is a beautifully cold winter night, there’s been a chance of snow today and life is great. 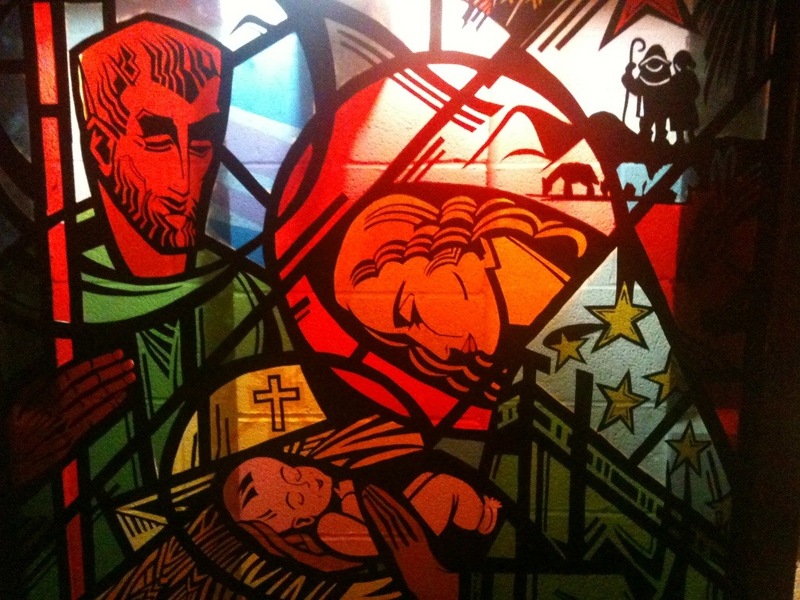 The picture I’m including with this post is of our Nativity Stained Glass outside of the Chapel. It was something that the sisters left us and we are happy to put it to use.